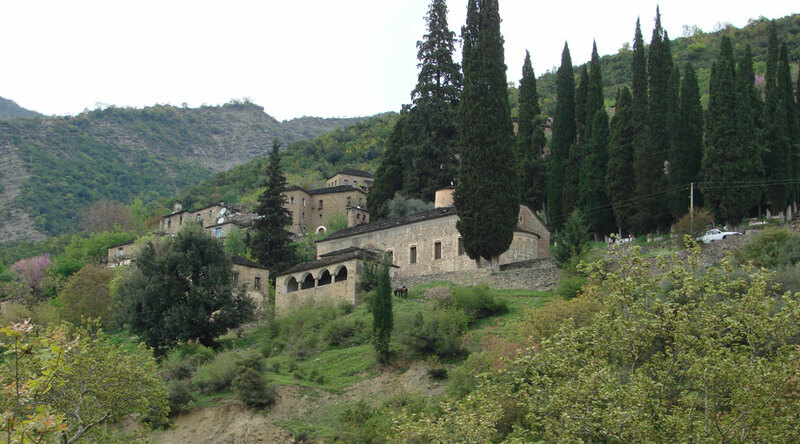 The Vjosa Valley and its topographical landmarks are known and mentioned in the historical accounts of the ancient authors, like Polybius, Livy, and Strabo, who refer to the river Vjosa as Aoos and by Stephen of Byzantium for whom it is the Aous. These sources refers to the gorge of Kёlcyra as Stena Aoi, the Dhёmbeli Mountain as Asnau and the mountain of Trebeshina, located on the northern extreme of the upper valley, as Aeropus Mons or Meropus. The Vjosa valley is also cited in the chronicle events of the ancient time, such as in the Aos Battle of 198 BC at Aoi Stena (gorge of Kёlcyra), during the second Roman-Macedonian war. Valley ran the routes which connected the region of Epirus with Thessaly and Illyria and the Adriatic Sea. Past archaeological remains combined with historical sources have indicated for the possible presence of road stations located along the valley, such as the station of Ilio (identified with the modern Iliara) however their accuracy stays as yet disputable. 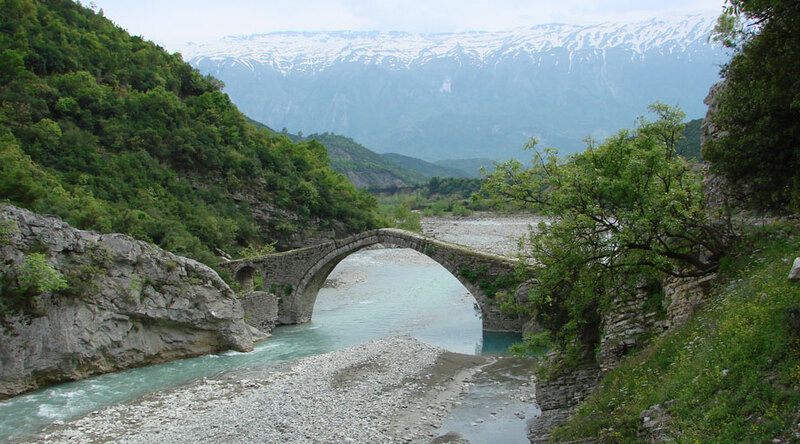 By the year 146 B.C., like the rest of Epirus, the Vjosa Valley was under the administration of the Roman Republic, and was included in the province of Macedonia. With the new administrative organization of the Roman Empire, during the reign of Diocletian, these territories were included within the province of Epirus Vetus, and at the end of this century (AD 395) became part of the Byzantine Empire. 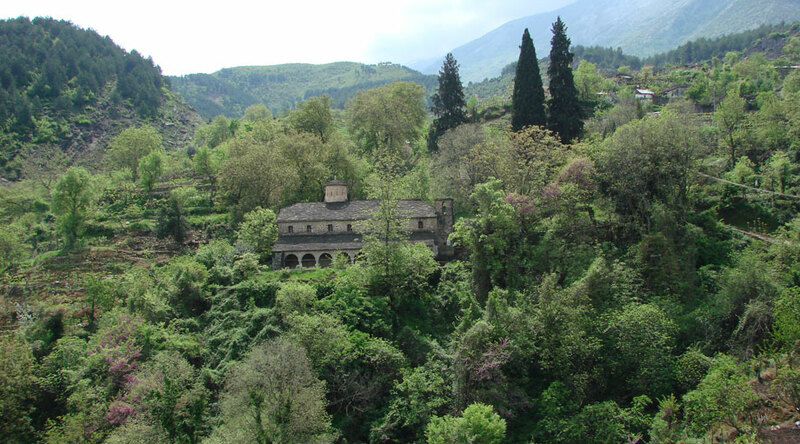 Although, there are, as yet, no direct historical accounts or stratiographically documented archaeological data, it is likely that Vjosa Valley, as the rest of the Province of Epirus, from the 4th Century A.D., until the recovery of the western territories from the Byzantine Empire, during the middle of the 9th Century, has been the subject of the raids from barbarian tribes of Visigoths, Vandals, Ostrogoths, Goths, Avars and the Slavs. 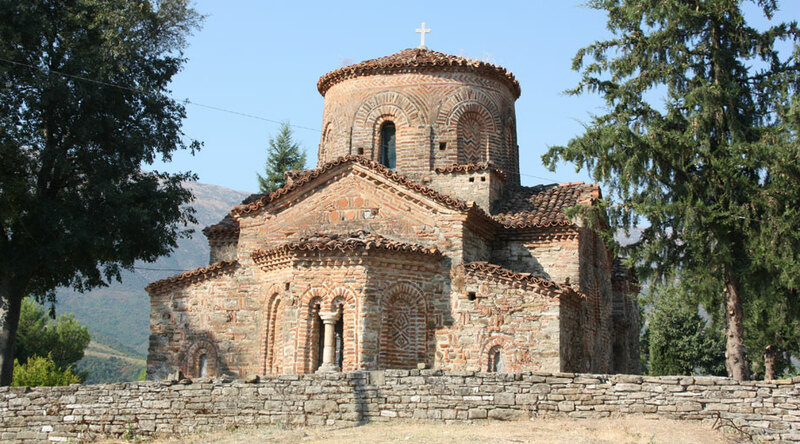 From the 8th Century A.D., the area was under the control of the first Bulgarian empire, until it was regained by the Byzantine Empire and organized in the Theme of Nicopolis during the first half the 11th Century A.D. From the beginning of the 13th Century A.D., until the ottoman conquest of the late 14th Century, the territories were in the dominance of the Despotate of Epirus. The ottoman rule, which lasted until the break up of the Ottoman Empire, in the Early 20th cent, brought drastic change in the historical landscape of the area, in the people’s ways of life, architecture, land management, etc. However, the largest landscape changes seem to have happened during the communist regime (1945-1990), where the agrarian collectivization reforms and the new ways of land exploitations, brought large transformation or loss of the traditional agrarian systems of the region. On the other side, the period after the 90’s was associated with large scale of land abandonment, destruction or decay of irrigation and drainage systems, massive devastation of forest and pasture areas, causing additional larger loss of the historical landscape of the territory.